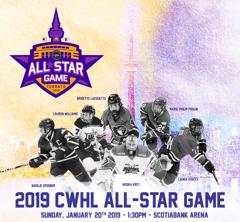 The Canadian Women’s Hockey League is proud to announce the 4th Annual All-Star game in partnership with the Toronto Maple Leafs. On Sunday January 20, 2019, you will have the opportunity to witness 34 of the league’s top athletes at the Scotiabank Arena. Puck-drop is scheduled for 1:30 PM with a very special anthem performance by an iconic Canadian band – The Bare Naked Ladies. 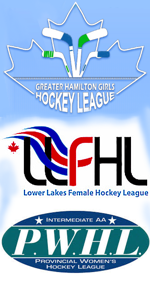 The All-Star game will also feature NHL alumni guest coaches who will accompany CWHL celebrity coaching staff. Please follow @TheCWHL this week to find out who the special guests are. We are proud to extend a cost-friendly opportunity for you and your loved ones to come out and witness the best of professional women’s hockey. Players will include Olympic medallists and world class athletes including: Marie-Philip Poulin, Natalie Spooner, and Hilary Knight. As a VERY SPECIAL OFFER – the CWHL wants to celebrate you! Please see the attached “Ticket Promo – Contest” to read all about this awesome opportunity. If this is an opportunity your organization would like to take advantage of, please respond back to this email to coordinate all details.